Speeding is illegal and is a factor in one in every three road deaths. Police officers can't be everywhere all of the time and so speed cameras are used to provide an enforcement presence to motorists. Speed enforcement measures are not about raising revenue. Cameras are about slowing drivers down and reducing the number of speed related crashes on our roads. Speed cameras are on our roads for one very simple reason - to slow vehicles down and therefore save lives, but speeding is a guaranteed way for a driver to lose money and demerit points. Since their introduction, research has shown that speed cameras are highly effective in slowing motorists down and reducing speed related crashes. 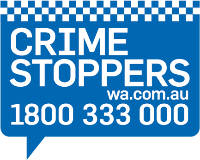 They are placed in or around areas in accordance with the WA Police Force deployment criteria. The continuing presence of speed cameras is an ongoing reminder for motorists to slow down. In fact a recent long term study commissioned by the Royal Automobile Club Foundation for Motoring Ltd in the UK entitled Speed Camera Effectiveness ( 1.2mb), a review of evidence by Richard Allsop, indicates how very effective fixed and mobile cameras can be. The RAC Foundation for Motoring Ltd is a charity which explores the economic, mobility, safety and environmental issues relating to roads and responsible road users. Independent and authoritative research, carried out for the public benefit, is central to the Foundation’s activities. *Serious injury crashes are fatality or hospitalisation crashes. The benefits to the community in injuries and lives saved are substantial along with the estimated net cost savings to the community of $2.295 million. Although these results are preliminary figures for the period 7 July 2010 and 20 December 2011, they are consistent with research in other states. View the complete Curtin-Monash Accident Research Centre report ( 638kb). The Western Australia Police does not want to fine you, they simply want you to slow down. All of the money collected from speed and red-light camera infringements goes into the Road Trauma Trust Fund and is spent on various road safety programs such as community education and improving road safety coordination. Speeding comes at a high price but the financial costs are minimal compared to the death and serious injury speeding can cause. It has been estimated speed related crashes cost the WA community up to $1.16 billion each year in hospital admissions, rehabilitation costs, insurance costs and other factors. It also costs you more to speed - extra fuel and extra wear and tear on tyres. There is no such thing as safe speeding. There are many myths about traffic cameras, offences and fines. See the facts here. The WA Police Force has in place strict requirements for the accuracy of speed and red-light cameras.